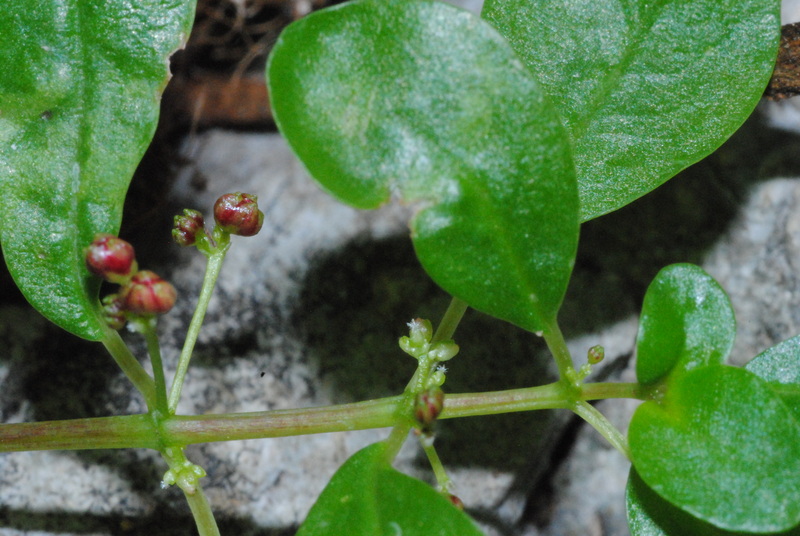 A possible new species of Pilea characterized by large tubers which probably enable it to survive in fissures in limestone karst cliffs where it grows. Image Alex Monro. On my recent trip collecting nettles in the Dominican Republic we came across what is very likely a new species of Pilea, a group of about succulent nettles. I thought it might be useful to outline what happens from collecting / discovering something new to it being published as a new species, from my own botanical perspective of course. In the case of this species, it has a couple of distinctive features which make it stand out from similar looking Pilea species: 1) a well developed above-ground tuber, up to the size of a small potato, and 2) relatively large male flower clusters for the group of species it is in. This gives me two diagnostic characters to check with in existing collections and in the literature. Pilea is a genus of over 700 species found in tropical and subtropical Asia, Madagascar, Africa and the Americas. All but a few species are restricted to one of these areas or a much smaller area and this knowledge enables me to delimit my search area. In this case, the Greater Antilles (Cuba, Jamaica, the Cayman Islands and Hispaniola). Close-up of the leaves and flowers. The cluster of red flowers on the left are male and are borne on a relatively long stalk, to the right you can see a cluster of female flowers. 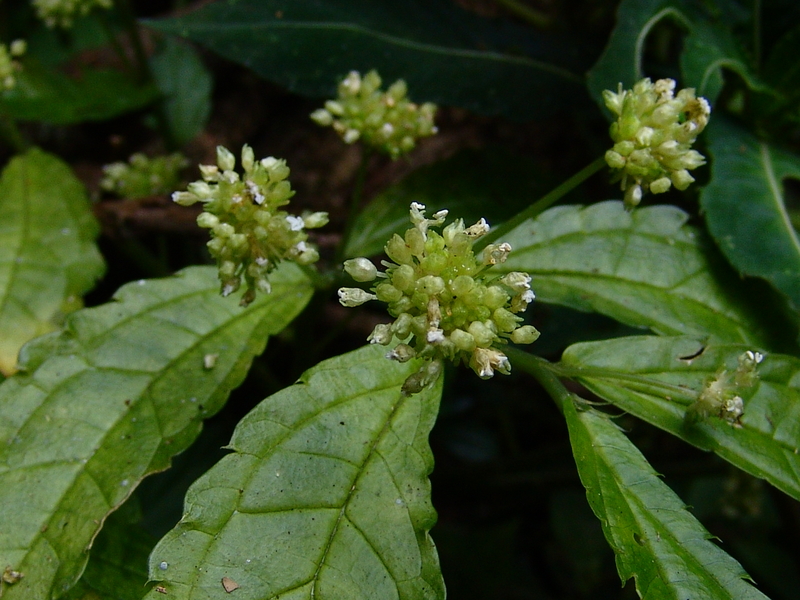 This cluster is only a few mm long and contains several flowers. My second job is to see if the species has already been described. To do this I need to look through the collections of the most appropriate herbaria for this area, starting with the National Herbarium of the Dominican Republic. This can take quite a long time although many collections have been digitised and are available online. I then need to follow this up by reviewing the literature for the region to see if I find any descriptions which match or are close. Once I have done this I should have a list of species that are possible or close matches. These I can then compare in more detail with my possible new species and confirm whether it is new or not. This I will do by looking at the type specimens under a microscope and comparing their key features: leaf and stem shape, the nature of their hairs, the size and shape of the flowers and of course in this case, the presence or not of a tuber. This also provides me with the information I need to write the diagnosis of the new species. Once I am sure that this is a new species I can start writing the description and think of a name. A new species description will include a detailed description of the plant, a line drawing illustrating the diagnostic features and a species conservation assessment which will provide an indication as to how threatened with extinction it is. 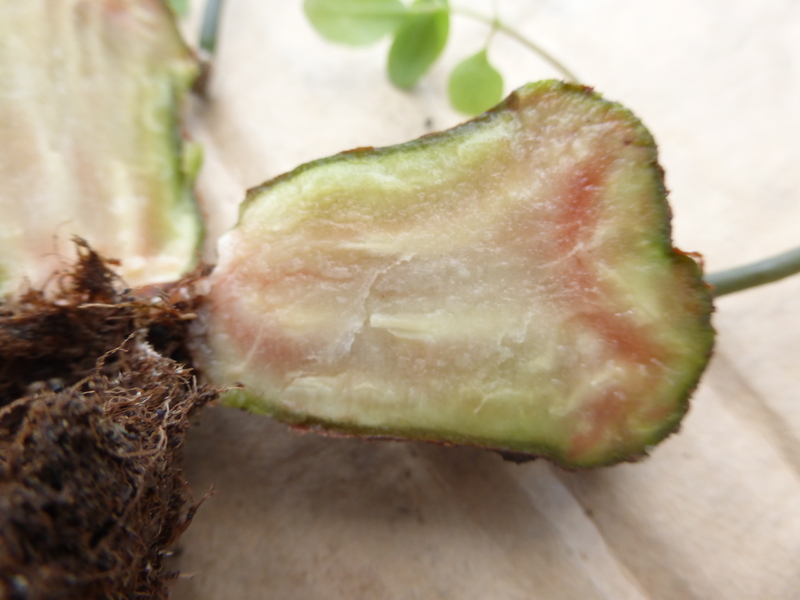 A cross-section through one of the tubers. 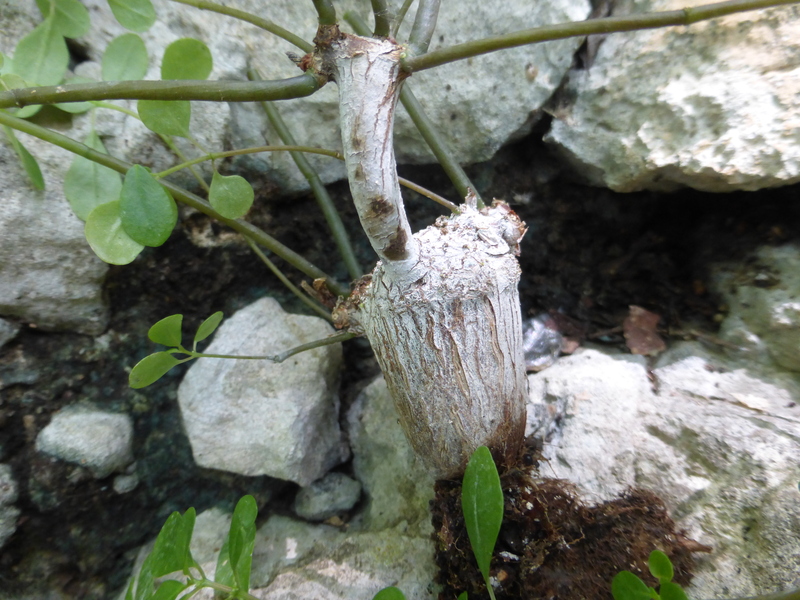 The tuber likely serves as a water storage device to help the species survive dry periods growing in narrow fissures in rock.